Hi, my name is Rena and I am a hoarder. Okay, so I wouldn’t say I’m 100% a hoarder, but I definitely have hoarder tendencies. I want to say it got passed down to me by my depression-era surviving grandma and a mentality of completely finding every use possible for the things you own. Well, this girl just happened to marry a boy who is a 100% purger. He throws stuff away before he’s even done using it. No joke. My cousin sent me a link to this article from the Art of Doing Stuff blog. I’ll admit when I first read “Get rid of 50 things” I was taken back. 50 things?!! I mean, maybe I can get rid of 20 things, but 50?! That’s a ton! 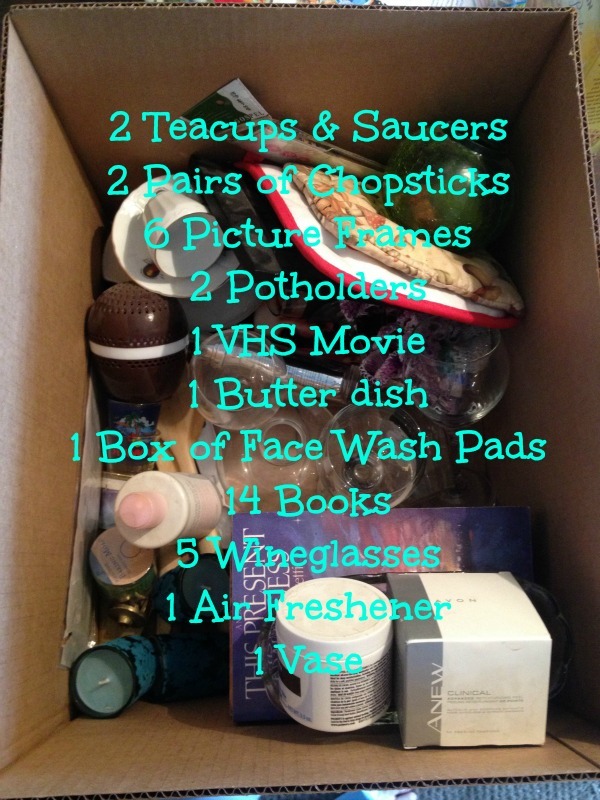 After days weeks of pondering about this and thinking of things I could get rid of, I took a box and wandered around my house filling it up with things I don’t need. This process probably took me a half an hour and here’s what I collected. And do you know what my total was? 54 things!!!! It was so easy and I could totally keep going! Plus, that doesn’t even include the gigantic amount of clothes I am getting rid of/selling. 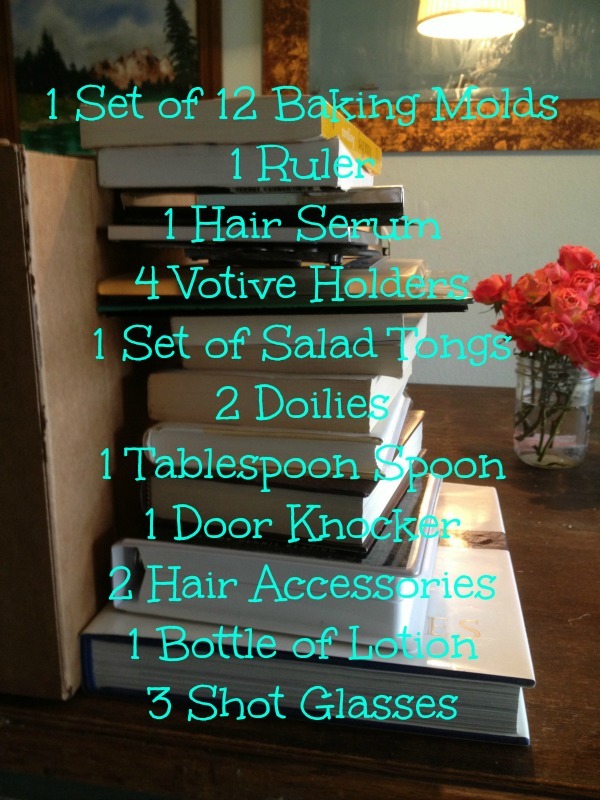 I challenge you to get rid of 50 things. It’s completely freeing. Posted in Inspiration, Personal, Random and tagged Inspiration, Personal, Random, San Diego. Bookmark the permalink. So I haven’t counted, but I’m pretty sure that I’ve hit 50. I’ve been clearing out makeup, workout DVDs, clothes, perfume, workout clothes, pjs, etc. I love that everything that is left are items I really like and use! Love this! I’m going to copy you! We just purged a bunch when we moved but I bet I could still find 50 things because I’m a bit of a hoarder myself!